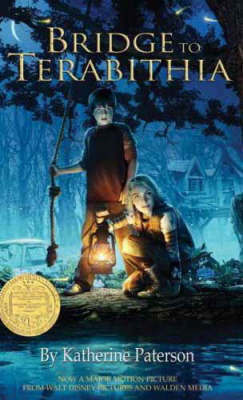 Jess and Leslie, competitors at first, then unlikely friends who create a magical land called Terabithia, are the unforgettable protagonists in one of the most celebrated children's novels of all time. This classic has been adapted into a live-action picture from Walt Disney Pict... read full description below. Katherine Paterson is one of the world's most celebrated and beloved authors. Among her many awards are two Newberys and two National Book Awards, and she was recently named a Living Legend by the Library of Congress. She has been published in more than 22 languages in a variety of formats, from picture books to historical novels. Donna Diamond has illustrated numerous children's books, including The Day of the Unicorn by Mollie Hunter and Riches by Esther Hautzig, as well as many book jackets. She lives in Riverdale, NY.